Karatbars Silver package he received vi FedEx. here in upper Pa. Much warmer in the Caribbean I’m sure! Loved our Karatbars intro webinar last night. not have to deal with a pay cut too right? Remember, we are all connected in this global economy! Update from Michael’s private Karatbars group at facebook. Michael from the Caribbean later got his VIP package and started an outstanding Karatbars WhatsApp group with support and updates. Hello Team. In the event anyone was wondering which Caribbean countries are open for business with Karatbars, here they are. I have included English and non-English speaking countries, grouped into two categories: Those who have additional taxes and duties for importing gold, and those who don’t. If the country is not listed, then it is not open for karatbars business – as yet. For example Haiti, Grenada, Dominica and Cuba are not currently on the list. 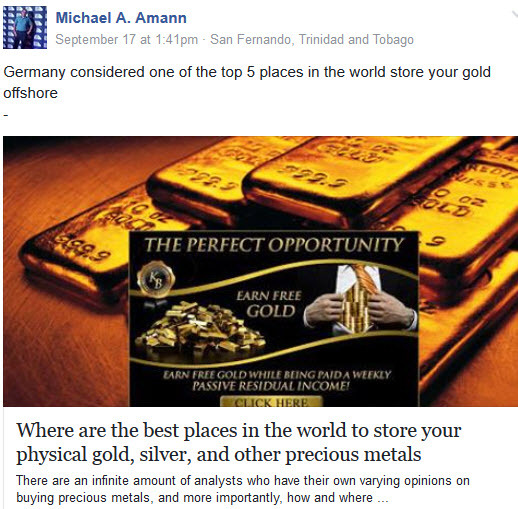 Note also that all Caribbean countries are open for both delivery and storage of gold. Some countries internationally, like India, are open for free storage but not delivery.